miniBloq: Tutorials and posts in different languages, thanks! Tutorials and posts in different languages, thanks! 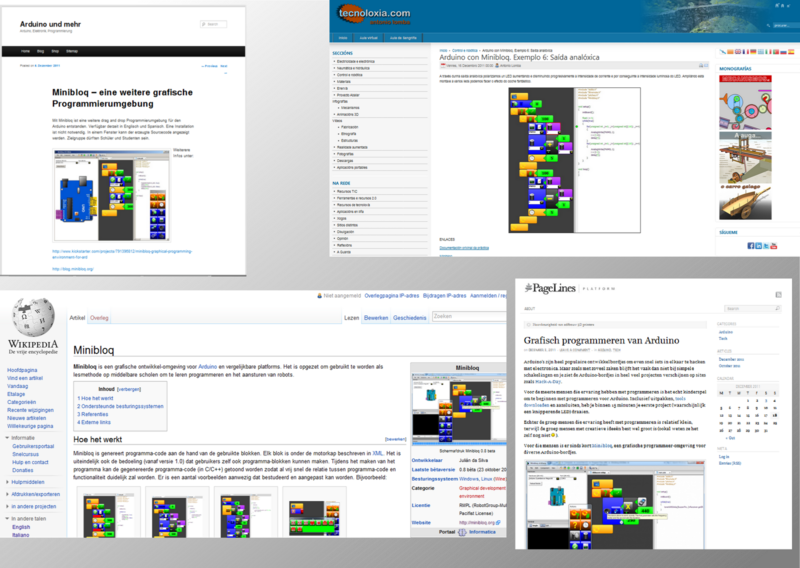 We are happy to see posts and tutorials about Minibloq in different languages. And as we did before, we want to say thanks and mention some of them here. Antonio, from Spain has been writing tutorials in Gallego (Galician). You can take a look to his very interesting educational website here. Gijs from the Netherlands has wrote both a post in his blog, and an entry about Minibloq in the Dutch version of Wikipedia. Gijs is also hosting the Dutch mirror to download Minibloq.